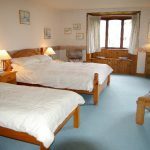 Charity Farm Cottages – Charity Farm Cottages provide charming secluded country retreats …… ideal for any holiday. 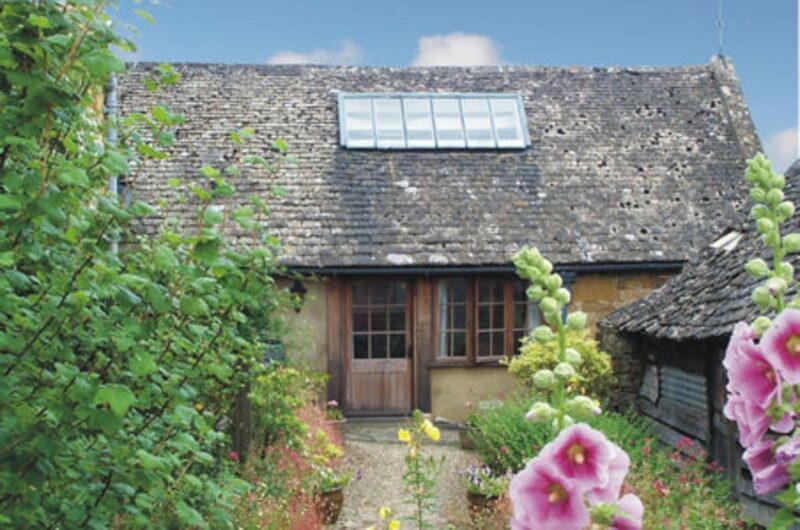 The Monk’s Retreat in Stanton, Gloucestershire situated at Charity Farm enjoys spectacular views over the village of Stanton. 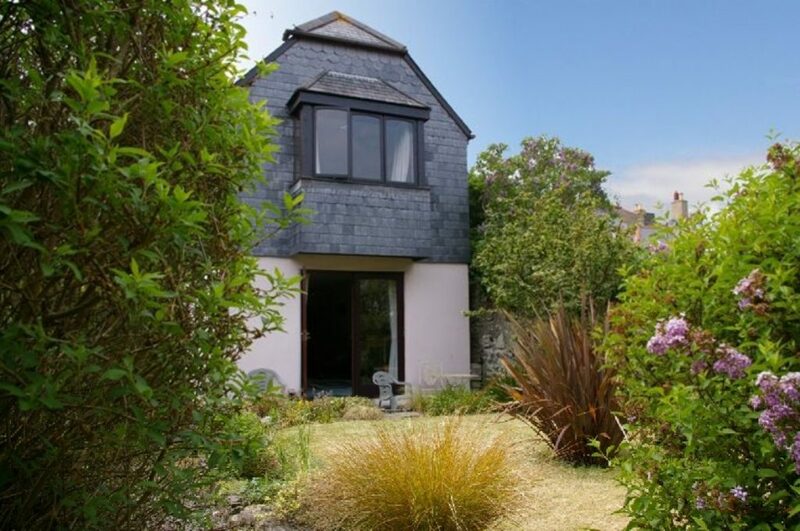 Courtyard Cottage in Flushing, Cornwall is a modern, traditionally built cottage, situated in the heart of the village of Flushing in a secluded position. All beds are made up with fresh linen and duvets for your arrival. 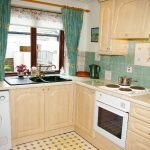 Gas and electricity are included in the cost and guests have complete control over our centrally heated cottages. 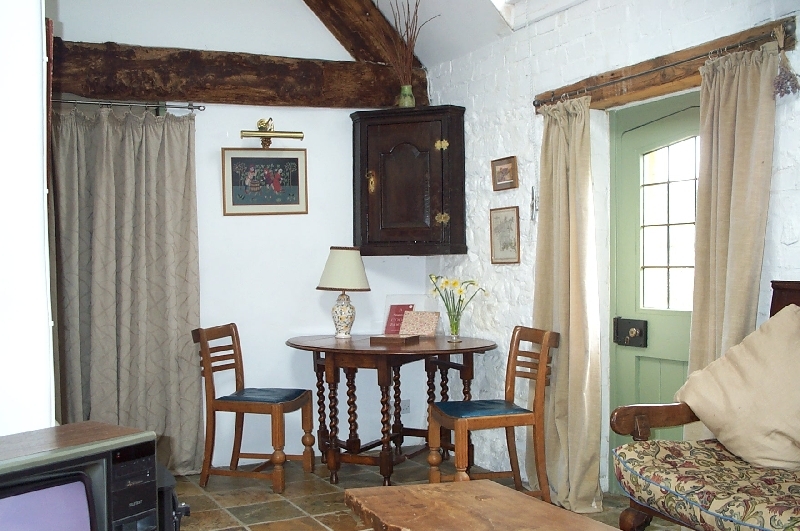 Our cottages boast a wide selection of local information as well as books, magazines and games. 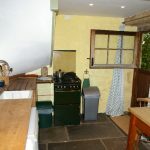 Charity Farm Cottages provides rental cottages for the ideal relaxing holiday based in both the Cotswolds and in Cornwall. The Monks Retreat Cottage situated at Charity Farm enjoys spectacular views over the village of Stanton. 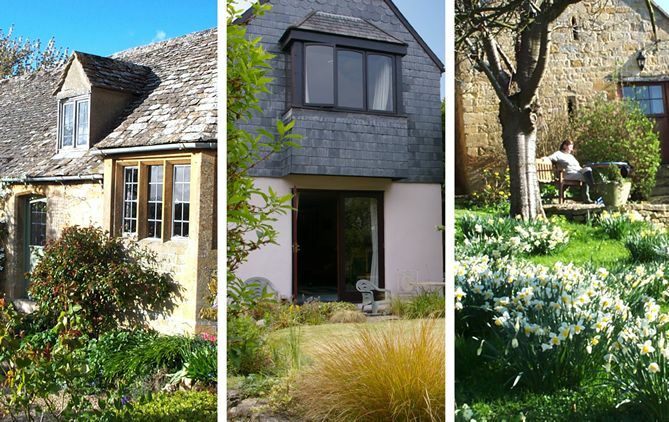 This Cotswold Holiday Cottage is situated in Stanton which is a pretty Cotswold village which has Riding Stables and Public House. 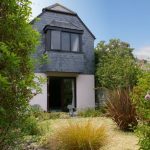 Courtyard Cottage is situated in Flushing, a quiet fishing village across the estuary from Falmouth, originally the home of the Packet Ships. Fishing boats can regularly be seen unloading their catch on Flushing Quay. The Flushing Peninsular offers excellent coastal paths for walking, bird watching and sailing facilities, whilst the village has a choice of Pubs and Restaurants. The Monks Retreat cottage has spectacular views, with a fully equipped farmhouse kitchen, slate floor sitting room with a beamed roof. 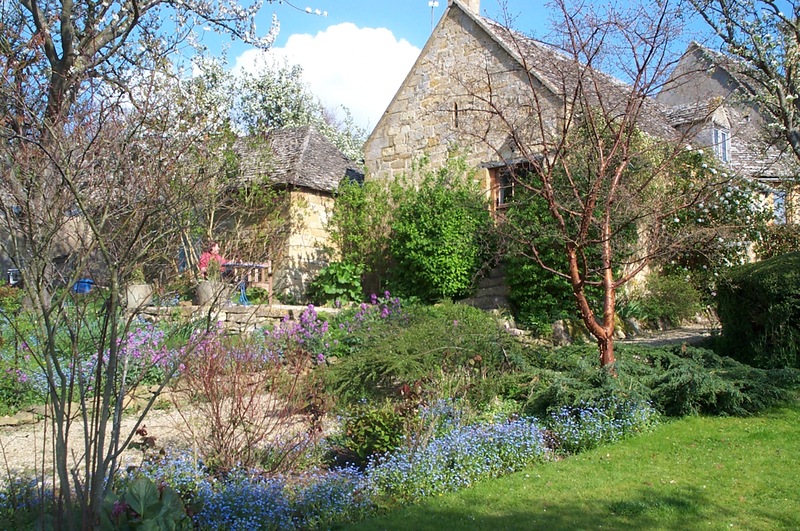 This Cotswold stone cottage is adjacent to the farmhouse and has its own garden and terrace. 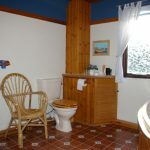 Spectacular, panoramic views are enjoyed from both the terrace and the cottage. Two small windows came from Hailes Abbey at the time of the dissolution of the monasteries. 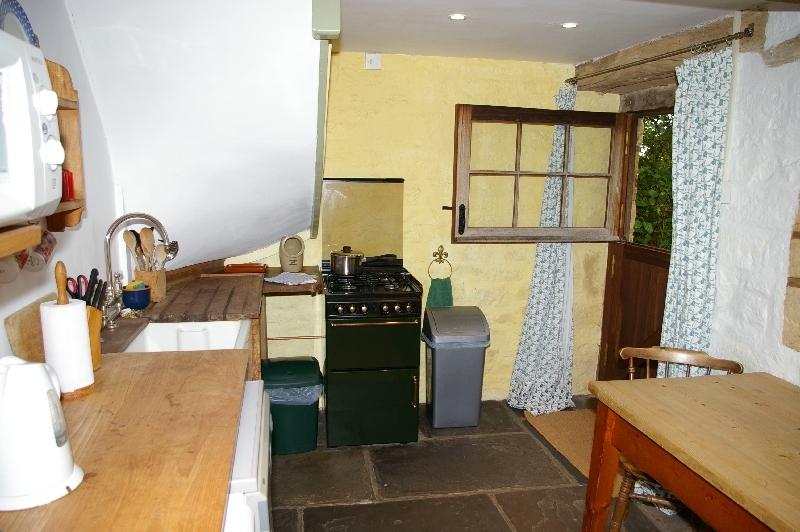 The stable door opens into a cosy farmhouse kitchen, fully equipped with a gas cooker, dishwasher and refrigerator. 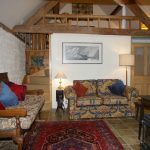 The sitting room with its high pitched ceiling beams and slate floor, is a large light room with wonderful views of the hills; colour TV, WIFI, comfortable armchairs and a dining area, all furnished with antiques. Up a small flight of stairs is the bedroom overlooking the spacious sitting room. 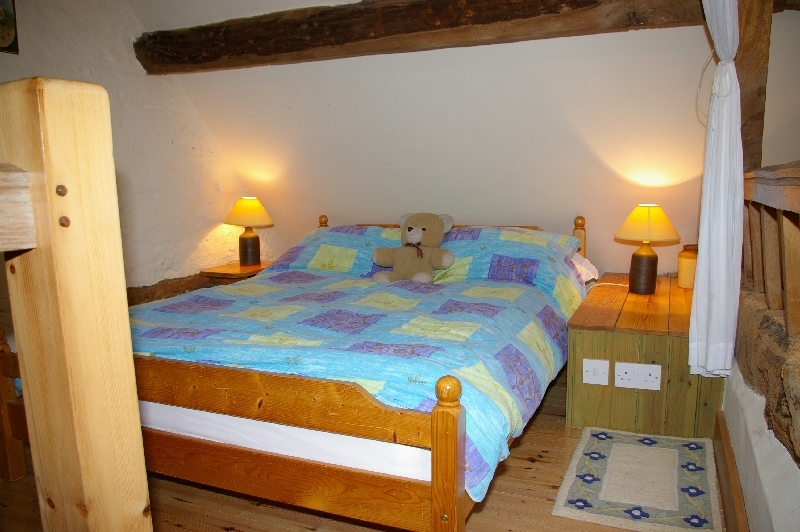 This is a charming room with a double bed that invokes images of a hay loft. The nautically inspired bathroom has a bath and a shower. Off road parking is available for one car. and rises to £425.00 a week in peak season. Please call or email for available dates and exact costs. Eleven miles from exit 9 (Tewkesbury) off the M5. It is off the B4632 which goes from Broadway to Winchcombe. The nearest Station is Moreton in Marsh on the direct line from London Paddington Station. (1hr 20 min). 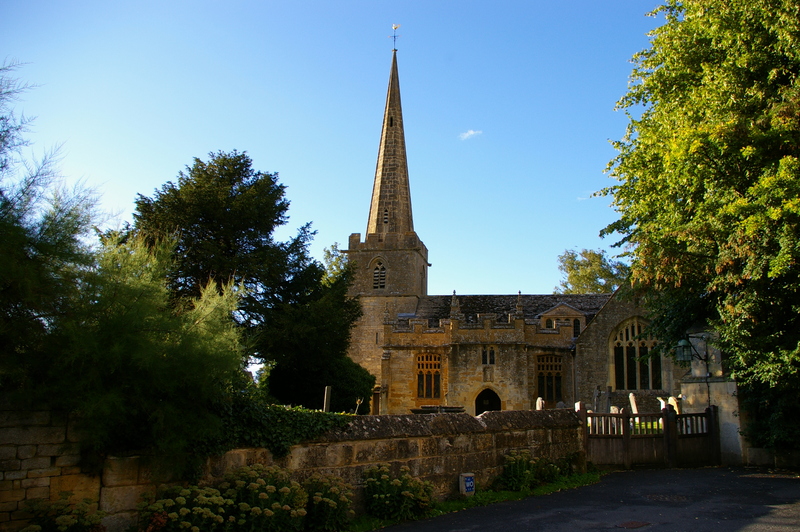 Stanton is a pretty Cotswold village which has Riding Stables and Public House. 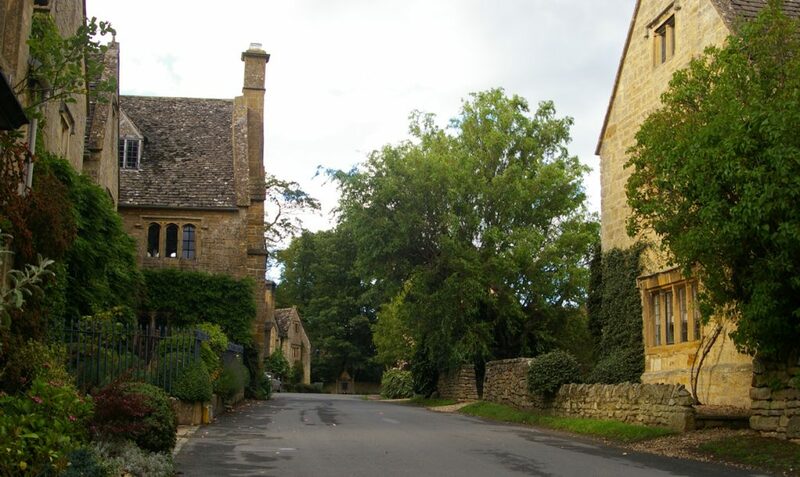 Broadway is well known Cotswold village 3 miles from Stanton. 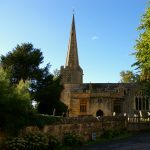 The Cotswolds offers wonderful walks and there are many good resturants and gastro pubs locally. Stratford upon Avon only 14 miles away is Shakespeare’s birthplace and has the theatre and many historic buildings. For Children: Riding School in the village, Rare Breeds Farm, Cotswold Wildlife Park and Butterfly Farm, Toddington Steam Railway. 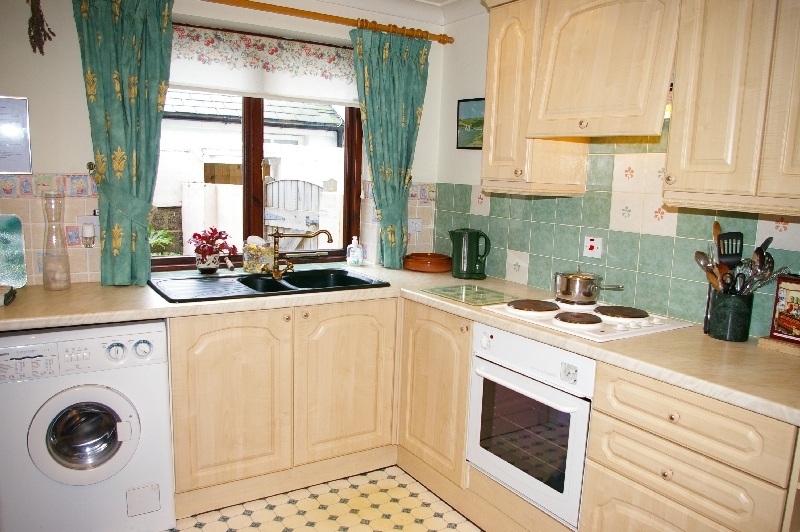 The cottage is snugly situated in the centre of the small fishing village of Flushing, Cornwall. The slate clad building, built in traditional style offers accommodation to the highest standard. 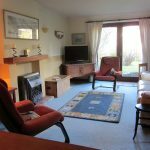 Modern, traditionally built cottage, situated in the heart of the village of Flushing in a secluded position. The entrance hall, with cloakroom, leads into a large light sitting room (29’x12′) with French doors opening into the secluded pretty garden. At one end of this room is the dining area. 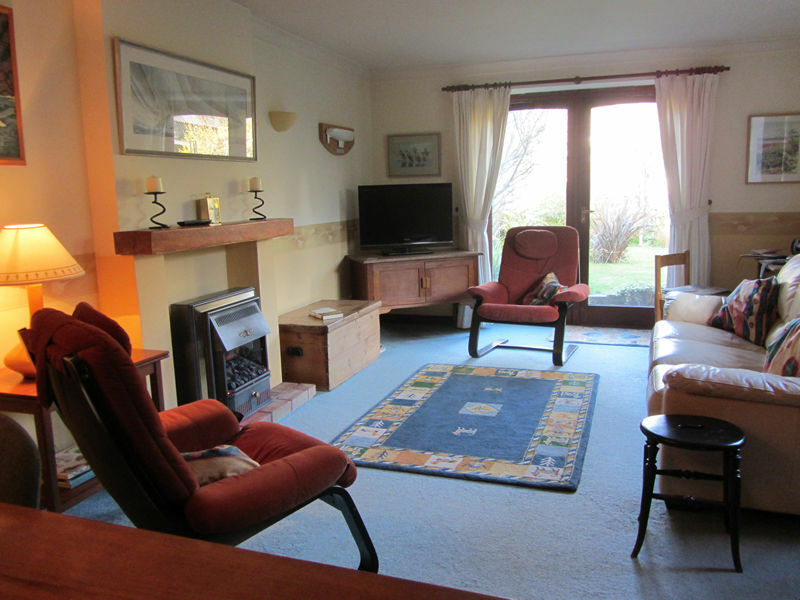 The sitting room has comfortable chairs, colour TV, video, cd player and an electric fire. The modern maple kitchen is well equipped with an electric hob and oven, deep freeze, fridge, microwave oven and a washing machine/dryer. A coin telephone is also provided. The beds are made up with fresh linen and duvets for your arrival, however, you will need to bring your own towels. 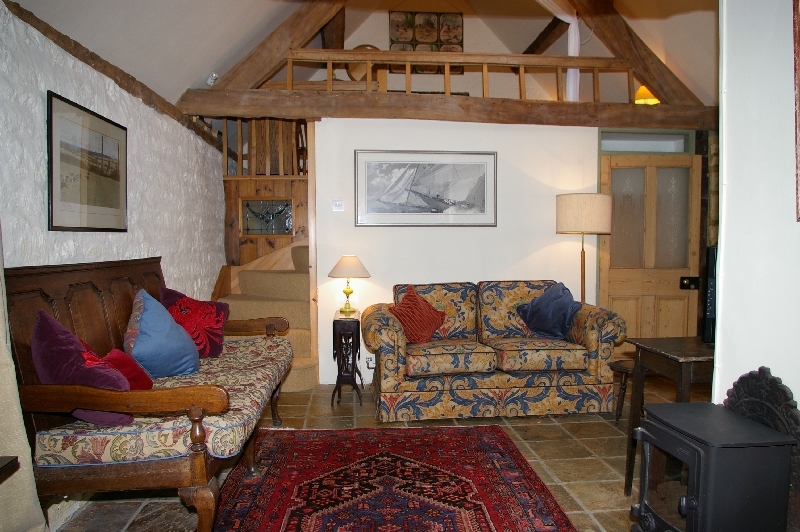 The cottage is heated by night storage heaters with the electric fire in the sitting room for added comfort. We would stress that there are NO COIN METERS, all the facilities are included to make your stay more enjoyable. 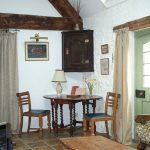 The detached cottage has a secluded pretty garden with garden tables and chairs for ‘al fresco’ eating. The pine staircase leads to two bedrooms, which provide accommodation for 4/5 adults. The large master bedroom has a pine king-size double bed, single bed and a built in window seat offering a view of the garden, an ideal situation to take your early morning tea. This has an en-suite shower cubicle and built in wardrobe. The second bedroom has twin beds and is decorated with a nautical theme. 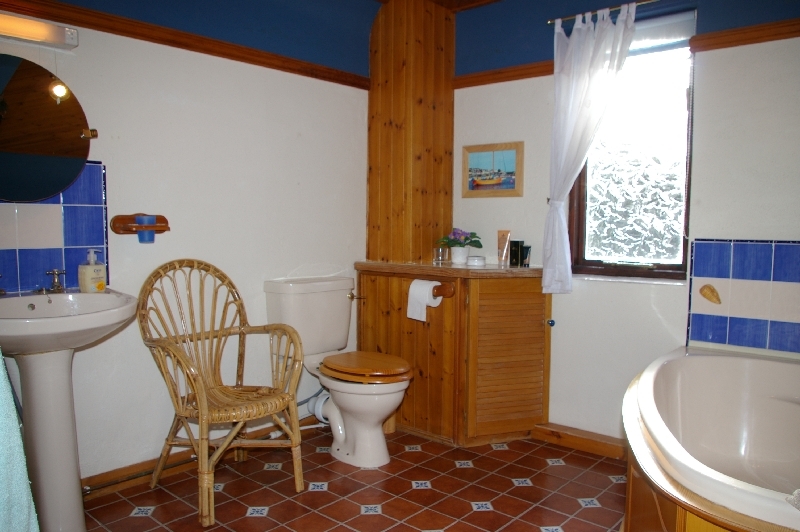 Between these rooms is the modern well proportioned bathroom with a corner bath, wash hand basin and WC. and rises to £700.00 a week in peak season. Flushing is a quiet fishing village, originally the home of the packet ships which carried the mail in days gone by, with Kiln beach within walking distance and offering safe bathing. There are country walks on the coastal paths with spectacular views over the the Carrick Roads and Falmouth. 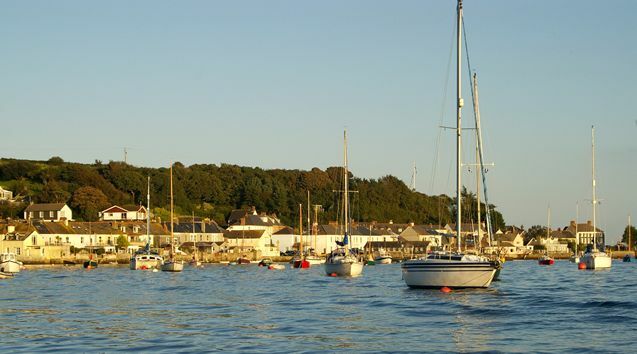 The Falmouth estuary offers excellent sailng and boats can be hired locally. Flushing has its own sailing club which welcomes temporary members, the highlight of the week being the ‘Falmouth Work Boats’ racing each Saturday in the summer. The village has a small grocers shop, two pubs with good food and a restaurant situated on the quay, specialising in local fish. Above the village is the bowling green, a large children’s play area with superb views of the harbour. There is a regular ferry service to Falmouth which saves having to use the car. For those who enjoy bird watching and gardening, there are plenty of locations locally to keep you busy. The gardens are particularly magnificent in the spring where there are an abundance of rhododendrons and camellias, as well as many others unusual plants only found in the local mild climate. 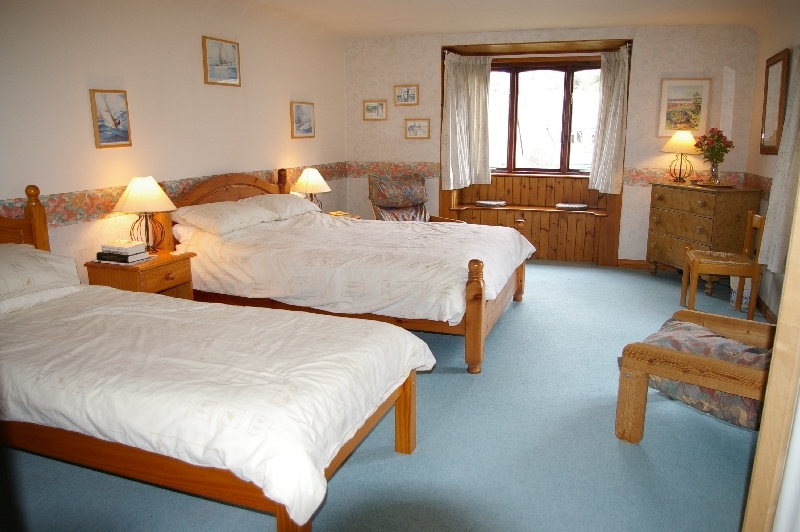 For more details on the cottage, availability and rates, please contact us. 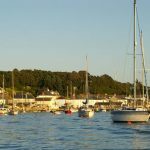 Sailing – Restronguet Sailng Club welcomes visiting dingy sailors and Mylor Yacht club welcomes visiting yachtsmen at Mylor Yacht Harbour. Walking – Country walks on coastal paths with views over the Carrick Roads and Falmouth. Bird Watching – Many species of wading birds visit the local estuaries. 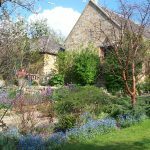 National Trust Properties and Gardens – The gardens are particularly magnificent in spring. Visit the Lost Gardens of Helgen, The Eden Project, Trelisick, Glendurgan, Trebah,Trewithan and Trevarno. National Maritime Museum – Falmouth. Golf – nearest courses are Falmouth and Killow Country Club. To book or for any questions about any of our properties please get in touch.